Renée T. Coulombe is an artist, musician and scholar of considerable breadth: composer, improviser, media artist, producer, critical theorist and publisher. She is founder of the new media publishing company, Banshee Media, and the international transmedia performance collective, Improvised Alchemy, both explore the nexus of emergent media art, immersive technologies and digital distribution, collaborating across borders, genres and disciplines and bringing unique visions to life. 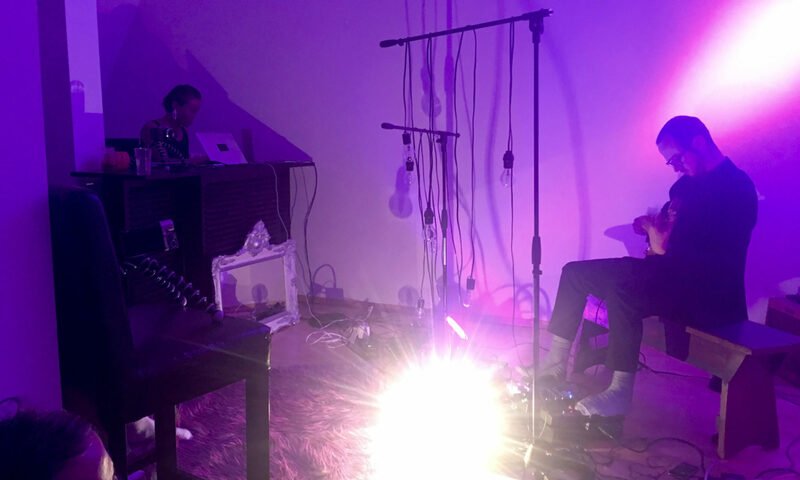 In 2018, she opened Improvised Alchemy’s new workshop, performance and recording space in the historic neighborhood of Friedrichshain, Berlin. A prolific experimental musician and improviser, she has performed around the globe in a staggering diversity of venues as both a refereed and invited visiting artist, including many performances with her free-funk collective Erroneous Funk. She has recordings available on Everglade, Open Space, and through Banshee Media. In 2018 she completed her Deep Listening Certification through the Center for Deep Listening (Rensselaer Polytechnic University) joining the global ranks of workshop leaders and practitioners certified through the new Deep Listening Institute. As an academic, she has taught at the University of California, San Diego, University of San Diego and Mesa College. From 2000 to 2010, she was an Assistant Professor of Music Theory and Composition at UC Riverside, where she also founded and directed the Free Improvisation Ensemble, represented the campus in the UC Institute for Research and the Arts, and produced several system-wide interarts events. As a scholar, she is published widely on topics of contemporary music, sound art and music in media, in international anthologies and journals; she presents her scholarly work regularly as both invited and refereed panelist at conferences around the globe. She is an associate editor of Perspectives of New Music and contributing editor to The Open Space Magazine. Multi-winds performer, pianist, and conductor Dr. Ellen Weller is Professor of Music at Palomar College in California, where she teaches classes in music theory, ear-training, and music literature, and directs the Palomar Symphony Orchestra. She earned her B.A. and M.A. in Music Composition from Queens College of the City University of New York, and completed her Ph.D. studies at UCSD. Weller divides her performance activities between improvisation, jazz, klezmer and classical music. An active member of San Diego’s Trummerflora Collective and one of the original members of Maiden Voyage, an all-female big band out of Los Angeles, Weller has performed with musicians including George Lewis, Mark Dresser, Bert Turetzky, Vinny Golia, Muhal Richard Abrams, Lisle Ellis, Vanessa Tomlinson, Mike Wofford, Holly Hofmann, Joe Marillo, Anthony Davis, David Borgo, Jason Robinson, Nathan Hubbard Skeleton Key Orchestra, Lesli Dalaba, Carla Kihlstadt, Ernesto Diaz-Infante, Hans Fjellestad, Marcos Fernandes, Michael Dessen, Michael Friedman, Dorbel Persian Music Ensemble, and the Second Avenue Klezmer Ensemble. She has organized and/or appeared at several major festivals, including the SF Alt Festival, the annual Spring Reverb (San Diego), Between the Cracks (Oregon), and the Big Sur Sound Shift, and organized FINC, the Faculty Improvisers of North County. She is the co-founder of the improvisational performance group, “Wheels”, which has several times performed at Long Beach Sound Walk and most recently headlined at the Wonder Valley Experimental Music Festival. 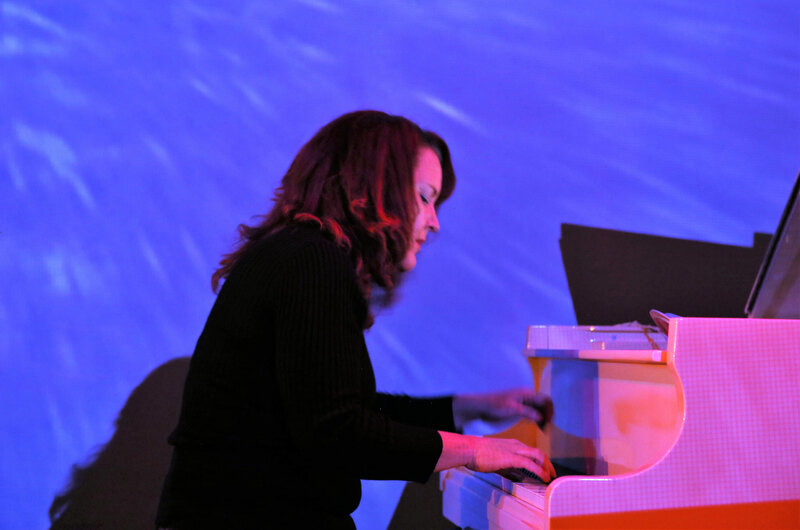 She annually co-organizes a performance of Phil Kline’s “Unsilent Night” in Downtown San Diego, and completed two successful tours of Japan with electronic musician/percussionist Marcos Fernandes. musician, teacher, performer and psychologist. He has studied frame drums from Zohar Fresco since 2010. Studied also from i.a. Bijan Chemirani, Jacek Ostaszewski, Sabina Giannatou, Efren Lopez, Andrew Morrish, Iwona Olszowska. Apart from music, he is involved in movement improvisation and performance field as well as in varied forms of somatic work like mindfulness, psychogenic training, BMC, martial arts, traditional dances i.a. from Poland and Greece. In his teaching he uses those methods and experiences to make learning easier and more intuitive. Leander Reininghaus, guitar, bass and more… Worked as composer, producer and instrumentalist for CD-, movie-, dance- and theatre productions as well as for exhibitions and multimedia events. His work can be heard on more than 40 CDs. He was founder of World Music band MOKA EFTI, with which he performed live in most European countries over a period of 10 years and recorded three CDs. The latest with guests Charlie Mariano, Roland Schaeffer of GURU GURU and Heinrich von Kalnein. His interest in livelooping (on stage since 1986) and textural music led to the recordings and solo performances of “STARSCAPES – Music Inspired By Views Of Space”. He has hosted 4.5 International Livelooping Festivals in Berlin and took part in festivals in Europe and overseas. Always a wanderer between improvisation and composed music of many styles, he is besides INTERAXIA currently guitarduo-partner of American Singer/Songwriter Elisabeth Cutler, bassplayer in Rock band Neues Glas and guitarist/sythesist in Berlin School Electronica band TaboTago. In a world of flash and dash, Elisabeth Cutler stands out as the rare artist who combines intimacy, honesty and sophistication in her songwriting and performance. Living in Italy and touring Europe extensively over the past 10 years, Elisabeth was born and raised in North America, honing her craft in her hometown of Boston, and later, Nashville. Drawing inspiration from the likes of Joni Mitchell, Diana Krall, and Norah Jones, Cutler forges her own distinctive and dynamic path, blending elements of folk/jazz/blues.